In late summer 2012, Josh Sceva brought Oiwi to Hood River. He found a small intrepid group and started paddling the Columbia Gorge on a semi regular basis. Bill Babcock, Ben Lewitt, Mark Telep, Gregg Leion and John Ritter joined him on the first paddle with more enthusiastic paddlers joining in as Oiwi was seen out on the river more often. HROCC was founded on April 1st 2013 in Hood River, Oregon. We eventually became a 501 (c) 3 in 2017. 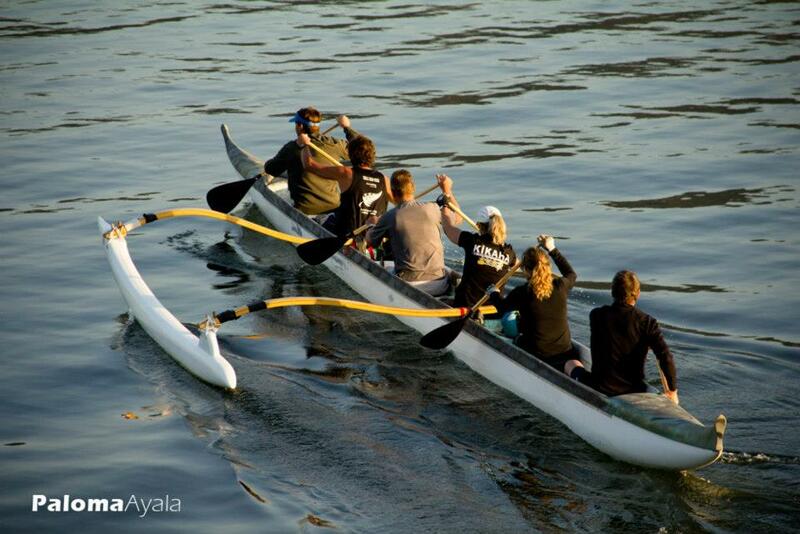 HROCC offers members the opportunity to paddle our 6-person Outrigger canoes (Oiwi, Haku Nalu, Manu Kahawai and Kuakea) as a team for camaraderie, racing, training & fitness. We now paddle on a regular schedule from April through October on the Columbia River. Our much loved canoes are located at Nichol's Boat Basin in Hood River.